LAS CRUCES, N.M. – Saturday’s volleyball match between New Mexico State and Utah Valley is important for a few reasons, it comes at the tail end of a very competitive Western Athletic Conference schedule and it is the final home match for the Aggies this season. But perhaps the most important reason for fans to head out to the Pan American Center on Saturday afternoon is that it will give the team and community a chance to recognize NM State’s two seniors, Shelbi Goode and Hannah Walker, during their final match as a NM State Aggie. Goode, a 6-1 outside hitter from Georgetown, Texas, is actually seeing playing time for the first time as an Aggie this season after having to sit out last year because of NCAA transfer regulations. Still she has made contributions to the team since first arriving in Las Cruces. To the coach’s point, Goode marked a career-high eight kills versus Seattle U on Thursday night while also adding four digs and three total blocks in a NM State four-set victory. During her only season on the volleyball court Goode has a total of 46 kills, a 1.12 kills/set average, 18 digs and 22 total blocks, including four solo blocks and 18 block-assists. Still, Goode feels there is more to come on Saturday. Walker, meanwhile, played her first season with NM State in 2012 after transferring from Colorado. She sat out the 2013 season with an injury but has come back strong this season to lead the Aggies in digs (272) and digs/set average (4.06) at the libero position. This season’s 4.06 digs/set average is eighth best in NM State history for a season and her 3.31 digs/set career average is tied for fourth best in the Aggie record books. Walker, a native of Colorado Springs, Colo., made an immediate impact upon arriving in Las Cruces. She played in 31 matches and 114 sets during the 2012 season and finished with 327 digs, a 2.87 digs/set average, 62 assists and 22 service aces. “When I first got here it was like coming in as a freshman again, getting used to playing with a new team again,” Walker said. “That was a tough adjustment, but overall the girls that were here were really welcoming. I loved the atmosphere here and the competitive drive that the coaches have has just grown in me over time. Aside from her digs numbers this season, Walker has also added 12 assists, and 15 service aces, which is tied for third-most on the Aggie squad. She also marked a career-high 25 digs versus Bakersfield on Sept. 27th in a thrilling five-set NM State victory inside the Pan American Center. The 25 digs are tied for most digs by an Aggie this season. Although she has played less than two full years for NM State, Walker has amassed a total of 599 total digs in her career, a 3.31 digs/set average, 74 assists and 37 service aces in 50 total matches. Unfortunately for Walker, injuries have once again caught up to her this season. She has missed the Aggies’ last four matches and will also not be on the court during Saturday’s final home match. Game time between the Aggies and Wolverines on Saturday is set for 1 p.m. (MDT). 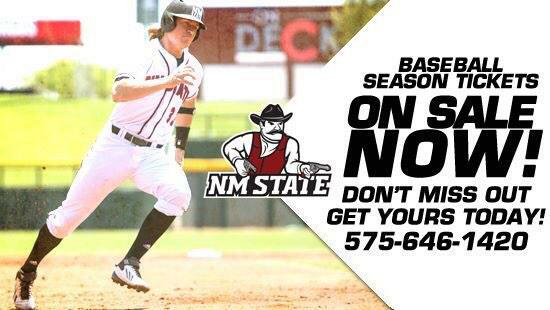 Come out and join NM State in saying farewell to Goode and Walker. If you cannot make it to the Pan Am, the match will air live over the radio on KGRT AM 570.